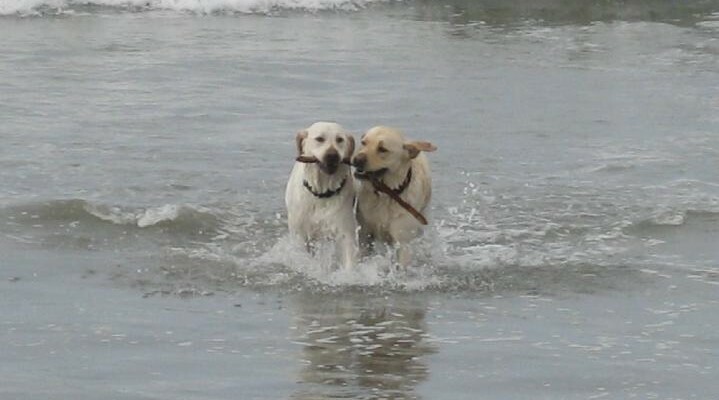 KONA + BAILEY - Animal Amour, Inc.
Love and care translate to us into; reliability, dependability, flexibility and an attitude that our kids (dogs) are as important to Animal Amour as they are to us as a family. We have complete, unwavering trust in Animal Amour, not only with our kids, but our home as well. Our schedules changes constantly and include out of town trips, and Animal Amour has never failed to meet our requests for care, even for last minute requests. We are overly compassionate about our kids and can be slightly demanding and we find the notes regarding the walks or overnights an absolute stress reliever, especially because they are so detailed. Our dogs can be two handfuls for sure and Animal Amour is careful to introduce new employees to our kids while in the company of another, experienced employee before letting them solo. If they can handle our over-excited Labs, your dogs are in good hands.